Wolf Pack Toy Haulers by Forest River RV feature innovative interiors, custom furniture and cabinetry and unparalleled looks. Our Toy Haulers are the “hottest” in the industry. Wolf Pack RV builds the most comfortable, innovative Toy Haulers on the market today! 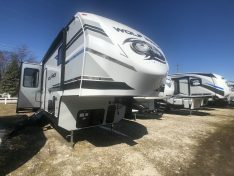 By offering the features that matter most to you & a price tag unlike any in the industry, it’s simple to see why so many RV enthusiasts choose Wolf Pack Toy Haulers.